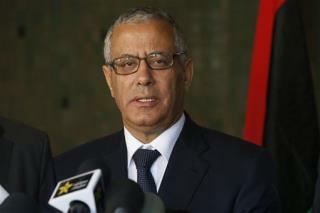 (Newser) – Libyan PM Ali Zeidan was reportedly kidnapped from the five-star hotel where he lives this morning—and released within hours. The militia that abducted Zeidan says it was simply detaining him over alleged corruption; the justice department and Zeidan's spokesman, however, call it a kidnapping, CNN reports. The New York Times says the kidnapping was likely a response to Zeidan's alleged approval of a US raid against a suspected al-Qaeda member in Libya.